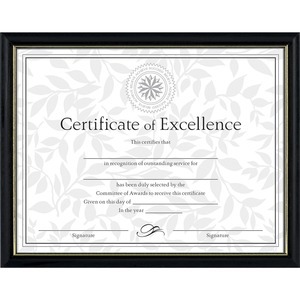 Two-tone frame elegantly displays your achievement or diploma on your wall. Solid hardwood is durable and designed to last. Included certificate of excellence is ready to use.